We design our trucks to last and to help keep you safe and secure. That’s why every Ram 1500 is equipped with some of the most advanced safety and security technology available, including dynamic crumple zones, side-impact door beams and an advanced airbag system. All backed by a 5-Year/100,000-Mile Diesel Powertrain Limited Warranty for our diesel-powered vehicles and a 5-Year/60,000-Mile Gas Powertrain Limited Warranty for our gas-powered vehicles. A truck is the epitome of hard work. 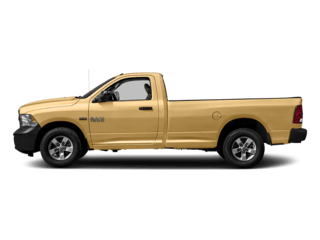 Ram Brand Engineers accomplished both capability and performance in one vehicle. The rugged power of a Ram truck meets the comfort of a luxury interior. We’ve designed the Ram 1500 with the comfort of our passengers in mind, giving every surface the utmost attention to quality and detail. Seats up to 3 passengers with 41 inches of legroom and 2 box length options. Seats up to 6 passengers with 41 inches of legroom in the front and 34.7 inches in the rear. Seats up to 6 passengers with 41 inches of front legroom and 40.3 inches in the rear. Offering 2 box length options.